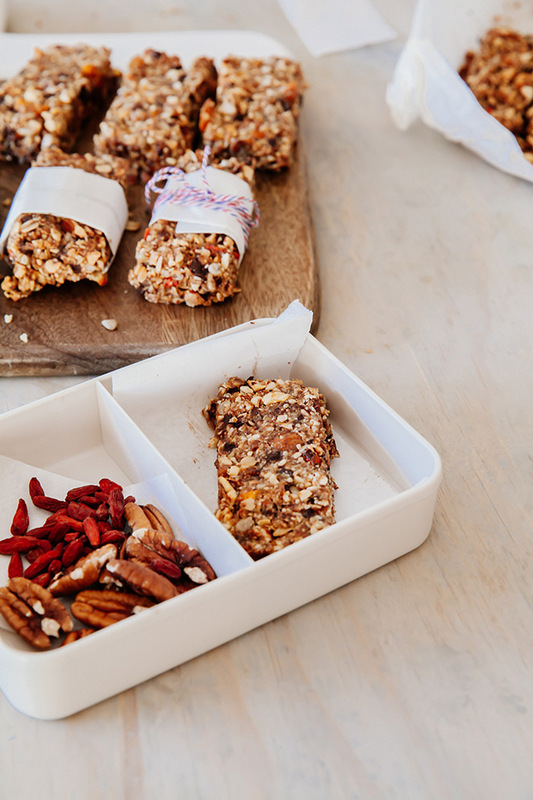 Just before kids head back to school after the long holidays, mums are racking their brains for healthy options for those school lunch boxes. 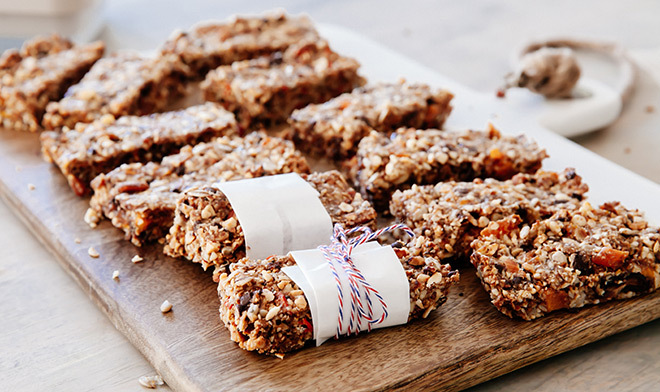 And here is one great option: healthy seed bars – refined sugar and wheat-free and packed with nutrients. 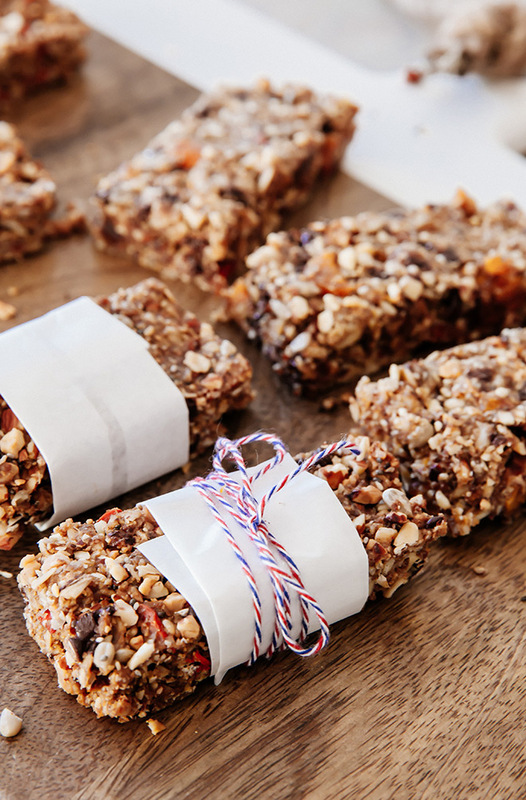 Bake them on a Sunday (get the kids to sit on the counter and help) and keep them ready for the week’s snack attack. You can find many of the ingredients in the Health Connection range, available on Yuppiechef. You can also get to know the recipe and sub ingredients in or out, depending on what you have in your cupboard. 1. Preheat your oven to 180°C. Line a 24 x 18cm baking tray with grease-proof paper. 2. Toast the oats on a tray in the oven with the nuts on another tray for 10 minutes until golden. Allow to cool. 3. Meanwhile, strain the dates and blend in a food processor until smooth along with the nut butter, adding a little of the soaking water if need be. Pour or spoon in the coconut oil and briefly blitz. Take this mixture out of the food processor and set aside. 4. Blitz a third of the oats in the food processor until ground into a course meal. Set aside. Then blitz ½ the nuts until ground. 5. 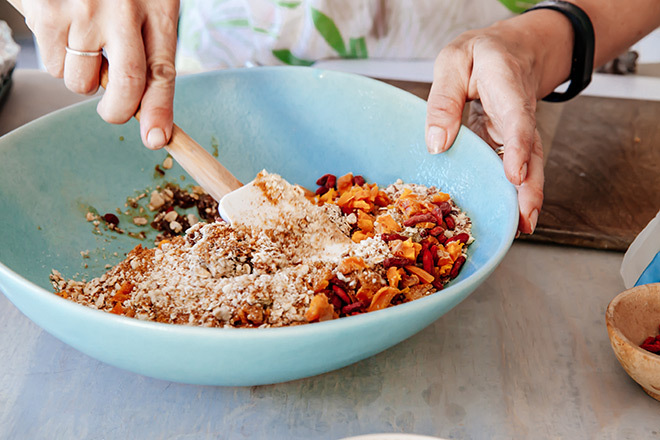 Tip the roasted nuts and oats in a large bowl with the ground nuts, oats, date and oil mixture. Sprinkle over the remaining ingredients and mix well. Wet your hands and knead it until combined. 6. Tip into the prepared tin, place a piece of grease-proof paper over the top and press firmly into the edges and compact. Bake for 10 minutes. 7. Allow to cool completely (about 2 hours). Carefully slide the bars onto a cutting board before cutting into 16 or more bars. You can store these bars chilled for up to two weeks. The raw mixture can also be frozen in the tin before baking, sealed in a large freezer bag. Thaw and remove from the plastic bag before baking. Like the sound of these? Sign up to our newsletter or join us on Instagram and many more will find their happy way to you.